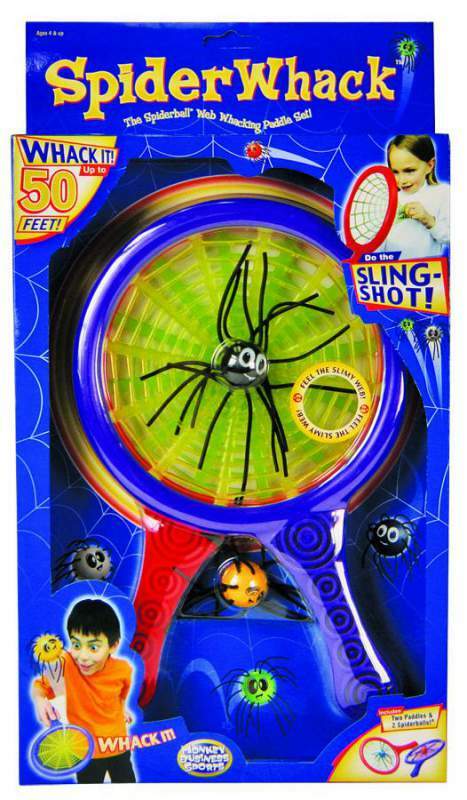 Grab a Spider Whack paddle and smack that spider back and forth with a friend or go it alone for wall-bouncing, slingshot action! The paddle nets are a slimy, stretchy, bouncy web that can double as slingshots! Tough enough for outdoor play and soft enough for safe indoor play.